"I'm gonna need a rain check on that dance." This Valentine’s Day, there’s no better place to look for love than in the Marvel Cinematic Universe, which boasts more than 80 characters with stories spanning across various countries, realms, and galaxies. So there’s lots of romance to go around, as we’ve seen in the nearly 20 movies so far. Plenty of characters spend too much of their time cryogenically frozen or going on missions all over the world to ever settle down. Others are just playboys or nerdy high schoolers who can’t find the time. Hey, love is complicated! When Avengers: Infinity War releases in May, we’ll no doubt get a check-in with many of these characters and their relationships, but for anybody who needs a refresher about whether or not Tony Stark is on good terms with Pepper Potts or who Peter Parker is pining for these days, we’ve got you covered. Perhaps the longest-running relationship in the MCU, Tony Stark and Pepper Potts started in Iron Man (2008) and has evolved over the years in unexpected ways. Pepper began as Stark’s assistant, but now she’s CEO of Stark Industries. Pepper has drifted in and out of the MCU on occasion, but a prominent role in Iron Man 3 seemingly solidified her relationship with Tony Stark. In the final minutes of Spider-Man: Homecoming, Stark offered an impromptu proposal to keep the press happy when Peter Parker turned down a spot with the Avengers. Now that’s romance! Gwyneth Paltrow is definitely in Infinity War, so it’s possible these two will already be married when we see them next. Jane Foster (Natalie Portman) and Thor (Chris Hemsworth) were good together while it lasted. Jane Foster was the first mortal being that Thor truly met when he was blasted from Asgard to Midgard in the first Thor movie. While his romance with Foster was a focus in Thor: The Dark World, she was left out of both the first Avengers and Age of Ultron. But Thor: Ragnarok confirmed that Foster totally dumped the god of thunder while he was off wandering the universe in the two years that followed Age of Ultron. These days, the one-eyed king of mobile Asgard has more pressing concerns, so he doesn’t have much time for romance. 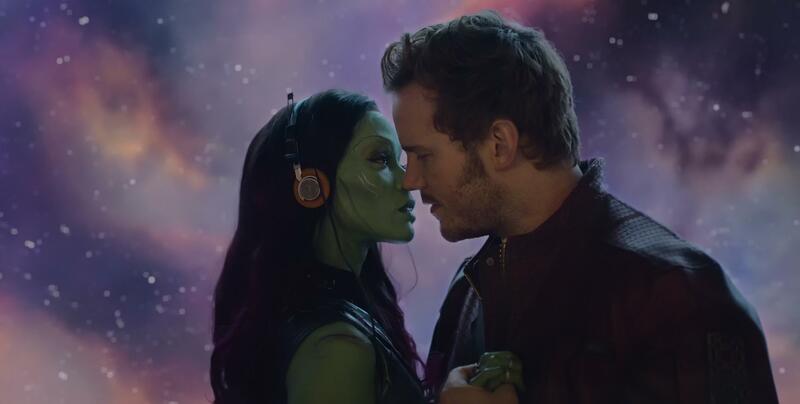 These two Guardians of the Galaxy had immediate tension from their very first meeting, and by Vol. 2, newcomer Mantis uses her empathic powers to reveal that Peter feels “love!” But their chaotic lifestyle isn’t suited well to serious displays of affection. Peter spends a lot of his time and energy resolving his daddy issues with Ego in Vol. 2, while Gamora deals with her sister Nebula. There’s just a whole lot going on. Their relationship is strained to say the least, but they manage to keep it functional and almost even professional. It’s safe to expect them to fight alongside one another throughout Infinity War, and who knows if it’ll even be anything more than that. The Hulk (Mark Ruffalo) and Natasha Romanoff (Scarlett Johansson). Bruce Banner seemingly left Betty Ross in the dust (assuming we even count the 2008 Incredible Hulk as fully canon), but Avengers: Age of Ultron sold us on his budding romance with Natasha Romanov, aka Black Widow. When the Avengers have to call Hulk into battle, she’s the only one who can calm the “big guy” down. When Thor uses the phrase “hey big guy, the sun’s getting real low” in Thor: Ragnarok, it’s played off like a really funny joke. But it’s also a wistfully sad reminder that their relationship went from optimistic to total disaster within 60 minutes of screen time. They talked about running away together, but in the end of Ultron, it was Hulk that ran away for what’ll eventually be more than two full years. Scarlett Johansson hinted in July while filming Infinity War she felt the relationship of these characters left her feeling “devastated.” They might not ever get the reconciliation they deserve, even if there’s still a spark there. 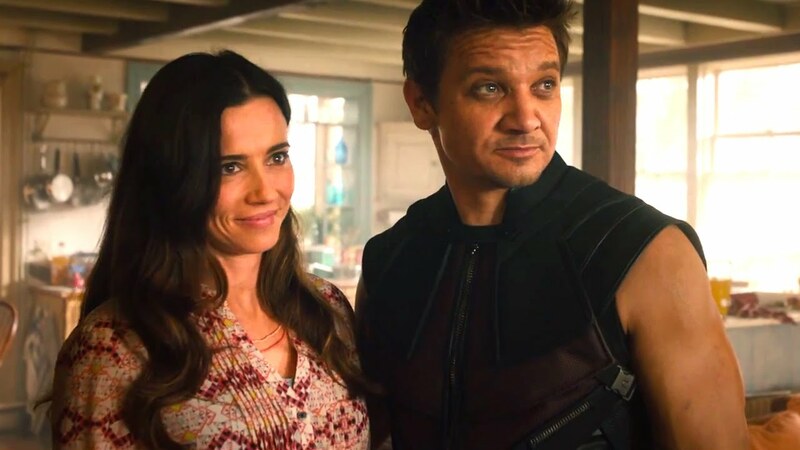 Laura (Linda Cardellini) and Clint Barton (Jeremy Renner). After Hawkeye spent most of the first Avengers mind-controlled by Loki, Joss Whedon sort of overcompensated in writing the character for Age of Ultron. Clint Barton went from bow-obsessed super-spy to a really cool dad on the verge of retirement, and he was debatably the film’s main character. He’s a secret family man after all who leaves the Avengers at the end of Ultron to stay with his wife and children … yet he still came out of retirement for Captain America: Civil War and will do so again for Infinity War. As far as we can tell, he’s still happily married. 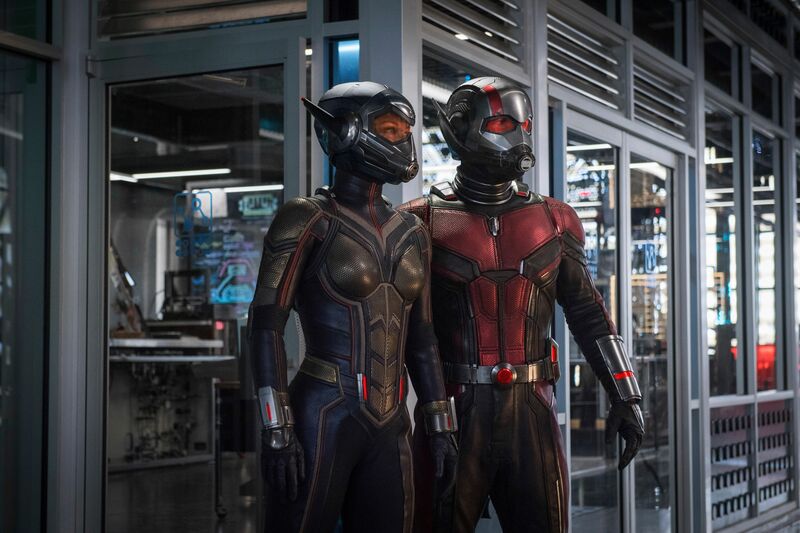 Hope Van Dyne (Evangeline Lilly) and Scott Lang (Paul Rudd). One of Ant-Man’s most hilarious and oddly satisfying scenes was when Hope Van Dyne punched Scott Lang right in the face while teaching him how to fight. They spent much of the movie with a fairly antagonistic dynamic, with Hope as the reluctant and jealous teacher and Scott as the novice hero. It’s all-too-believable that they’d spend the film’s final moments — the last we saw of them — hiding from Hank Pym and making out like teenagers. The upcoming Ant-Man and the Wasp takes place immediately after Captain America: Civil War despite releasing several months after Avengers: Infinity War. It’s unclear how the two films might relate to one another, so who knows what their relationship will look like when the war against Thanos starts. Captain America can’t catch a break when it comes to love. Steve Rogers had a great romantic connection with Peggy Carter in Captain America: The First Avenger until he drove a plane into the ice and woke up 70 years later. Is it weird or creepy that he developed a crush on Peggy’s great-niece all those years later? The answer is yes. Yes it is. The film’s most intentionally joyous moment comes when the super-awkward Steve kisses her as Bucky and Sam Wilson look on giggling. Last we heard, Sharon won’t appear in Infinity War, so it looks like this romance might be nonexistent these days, especially with Steve Rogers reduced to the fugitive Nomad. Wanda Maximoff (Elizabeth Olsen) and Vision (Paul Bettany). 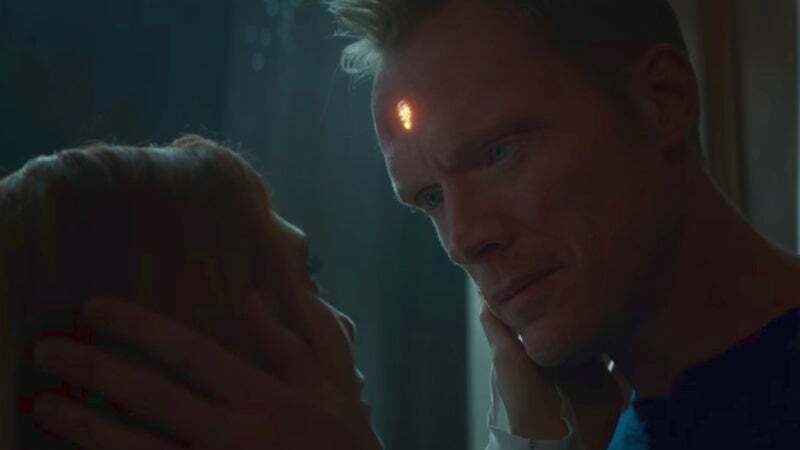 Though both characters made their debut in Age of Ultron, it wasn’t until Scarlet Witch and Vision became Avengers that they really started to bond. For some amount of time, they were basically the only full-time residents of the upstate New York Avengers facility. Despite direct ideological and physical conflict during Civil War, they reconciled and more or less settled into becoming some kind of bizarre super-couple by the end. If the Infinity War trailer is any indication, then that romance has blossomed into a full relationship, because it looks like they live together, and Vision appears in an almost entirely human-looking form. 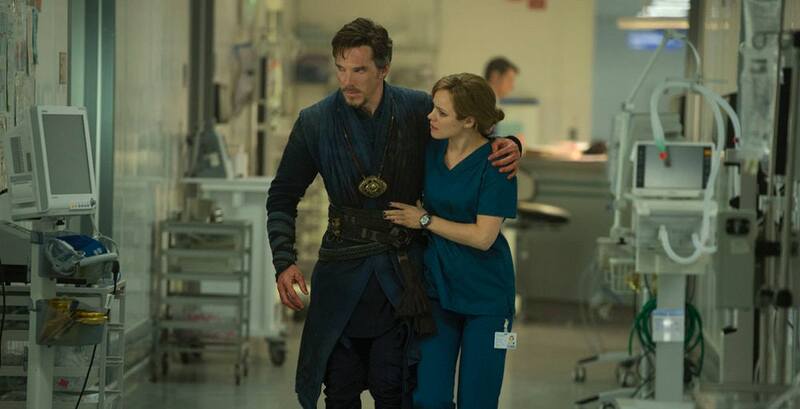 Doctor Stephen Strange (Benedict Cumberbatch) and Christine Palmer (Rachel McAdams). Probably the worst couple in the entire MCU — mainly because of Doctor Strange’s arrogance — is Stephen Strange and Christine Palmer. They started out as highly skilled and slightly competitive doctors with a complicated romantic history. But then Strange spends most of Doctor Strange being rude to Christine and trying to magically fix his broken hands. Instead, he winds up a skilled sorcerer tasked with protecting a Sanctum inexplicably located in Manhattan’s West Village. Does he even care? Strange has since made a lengthy and fun appearance in Thor: Ragnarok and will play a huge role in Infinity War, but if he’s in any sort of relationship with Christine, it’s almost guaranteed that it’ll exclusively happen offscreen. Liz Toomes (Laura Harrier) and Peter Parker (Tom Holland). Shockingly, the totally dorky and manic Peter Parker kind of had a shot with the coolest girl in school in Spider-Man: Homecoming. Liz took a liking to Peter’s quirks, and everything might’ve worked out for the two of them if Peter hadn’t beaten up her father and gotten him arrested. Spider-Man: Homecoming’s best surprise comes when we find out that the villainous Vulture is actually Liz’s father. Predictably, after Peter saves the day but defeats Vulture, it has a slew of ramifications for everyone’s personal lives. Liz and her mother have to move away, and the revelation that her father is a criminal totally crushes Liz. She doesn’t quite blame Peter, but she isn’t exactly happy about the whole thing. They don’t exactly leave on “bad” terms per se, but this relationship is totally over. At least Zendaya’s character “Michelle” revealed that her nickname was “MJ” — that should mean a lot to any Spider-Man fan. T'Challa (Chadwick Boseman) and Lupita Nyong'o (Nakia). 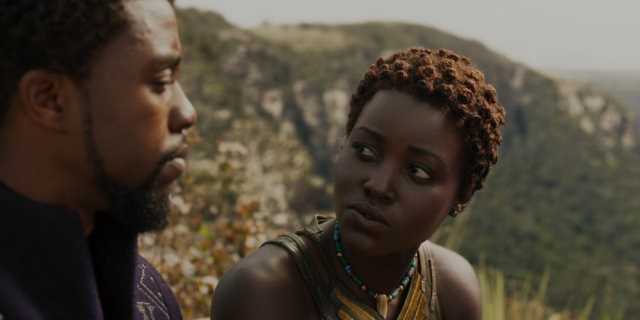 Without giving too much away for the upcoming Black Panther, let’s just say that the king of Wakanda does have romantic tension with someone out there. Lupita Nyong’o plays Nakia in the new movie, whose role for the Wakandan government is the equivalent of a globe-trotting spy. Her and Boseman’s T’Challa have known each other for years, and we get to watch their relationship evolve in Black Panther.